A concrete mixer (also commonly called a cement mixer) is a device that homogeneously combines cement, aggregate such as sand or gravel, and water to form concrete. A typical concrete mixer uses a revolving drum to mix the components. For smaller volume works portable concrete mixers are often used so that the concrete can be made at the construction site, giving the workers ample time to use the concrete before it hardens. 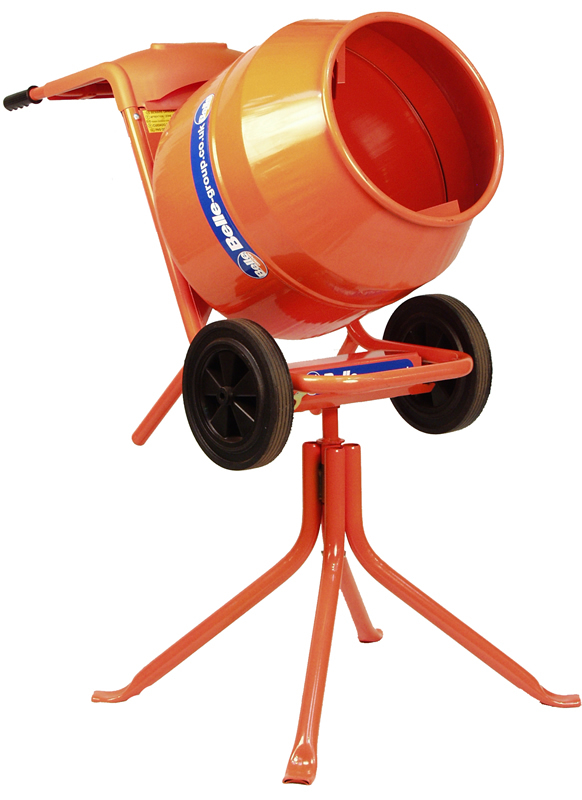 Professional standard electric concrete mixer for small to medium building projects. Do you require a wheelbarrow? Just click the button below.